The tech giant, which reports earnings on Thursday, has the wind at its back due in large part to cloud services. Microsoft Inc. (MSFT - Get Report) is flying high. The stock is once again near an all-time high as shares have jumped more than 26% so far this year, outpacing the Nasdaq's 23% gain and the S&P 500's 16%. The tech giant ended the week a market cap of more than $600 billion, close to its peak valuation in 2000 when it reigned as the world's most valuable company (Apple Inc. (AAPL - Get Report) , of course, occupies that lofty perch now, with a market cap of $807 billion). Product-wise, Microsoft released its first Cortana-powered smart speaker (made by Samsung's (SSNLF Harman Kardon), the Windows Mixed Reality VR headset and a brand new Surface Book 2 laptop this week. So yes, Microsoft is also increasingly becoming a hardware play, on top of its growing dominance in the software-as-a-service (SaaS) and cloud-computing markets. There's reason to think that Microsoft's rally could continue into next week at least, as Wall Street prepares for the company's fiscal first-quarter earnings report on Oct. 26 (tech titans Amazon.com Inc. (AMZN - Get Report) , Alphabet Inc. (GOOGL - Get Report) , Intel Corp. (INTC - Get Report) and Twitter Inc. (TWTR - Get Report) also report that day). Microsoft shares now trade with a trailing price-to-earnings (P/E) ratio of 29, just a shade higher than the industry average, according to Morningstar, while its forward P/E stands at 22, according to Thomson Reuters. Shares also sport an attractive 2.2% dividend. For the quarter, Wall Street expects EPS to be down year-over-year, but projects revenue to increase on an annual basis. For the quarter, analysts are looking for adjusted earnings of 72 cents per share and $23.4 billion in sales. In recent years, Microsoft's quarterly results have been bolstered by its continued success in the cloud. Case in point: Its Azure Cloud business nearly doubled in 2016 alone, and Microsoft says it's on track to reach a commercialized cloud revenue run rate of $20 billion by the end of 2018. No doubt that growth story will show up in Microsoft's first-quarter earnings on Thursday. It's why Credit Suisse analysts on Friday called the company its top large cap pick, noting that it predicts the commercial cloud business to jump 51% year-over-year. For Microsoft specifically, the firm expects Azure to grow a whopping 92% annually. "Our outperform thesis on Microsoft is centered on what we view as strong cash flow growth and earnings power potential over the next few years, at least, driven by significant commercial cloud growth and higher cloud gross margins over time," the Credit Suisse analysts wrote. 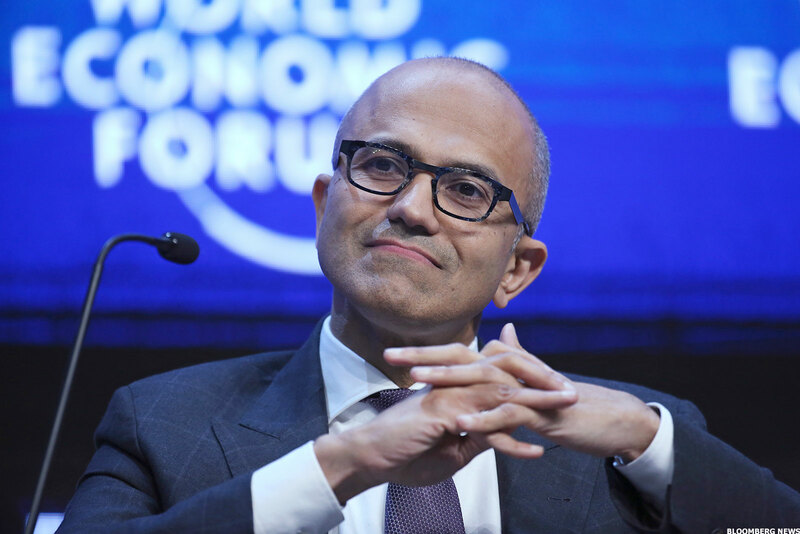 "Additionally, we envision further cash flow multiple expansion as Microsoft's business becomes more recurring over time and less transactional." Clearly, you can't blame Microsoft for having its head in the clouds. The 10 Hottest Zip Codes in the U.S.